Want to know more about where Jersey e-commerce fits into the equation? Read this article from Jersey-based legal firm Vilbert & Valpy. “Take one successful offshore centre, add the explosion in e-commerce and await a truly remarkable result”. This article is reprinted by kind permission of Christopher Scholefield, Partner, Vibert & Valpy. There cannot be many businessmen who have not already given thought to the implications for their business of the Internet explosion, but how many have considered the intriguing possibilities raised by combining e-commerce with a presence offshore? Jersey is one of the world’s leading offshore financial centres and it is for this very reason that Jersey e-commerce has expanded rapidly there. The Island’s finance centre activities and the IT demands of the businesses based there have made it a home for many highly skilled computer professionals all too ready to explore the new business opportunities that technological changes make possible. Having heard it repeated so often, many are inclined to believe the fiction that the Internet is a vast and unregulated jungle. In fact the problem is not so much a lack of regulation as a wealth of conflicting jurisdictions, many of which have rules that can apply to e-commerce with potentially unwelcome results. To that extent the Internet resembles the emergence, centuries ago, of regular international shipping and maritime commerce which also transcended national boundaries as the ships in question plied their trade in international waters. You could argue that the ancestor of the laws that need to evolve in order to meet the challenge of the Internet is maritime law, which deals with the conflicting jurisdictions that impinged upon seagoing commerce. This analogy is particularly relevant to Jersey because, just as ships so often sail under a flag of convenience provided by a state with which they have no substantial connection, so commercial companies trading on the Internet can choose to fly the flag of a state that provides them with the most convenient base from which to carry out their business. As the information super highway evolves into a commercial grid superimposed upon established trade routes, so the traditional inconveniences arising from a trading headquarters based in an offshore Island rather than in a major onshore metropolis disappear. Jersey is taking the e-commerce revolution seriously and has appointed an Information Society Commission to advise upon how the Island’s legislation can be fine tuned to accommodate the latest developments. Areas as diverse as domain name registration, tax, intellectual property and the UNCITRAL model law on electronic commerce approved by the UN in 1996 are under review. This should ensure that Jersey’s established advantages are put to good account. The Island uses the English language, is in a convenient time zone, has a demonstrated record of political stability, a highly sophisticated technological and professional infrastructure, a proven track record in international commerce including secure on-line payment systems and last, but not least, a demonstrated commitment to the principle of low and stable taxation. Indeed, professional advisers are correctly taking it for granted that the trading profits and capital gains of a successful e-commerce business can safely be accumulated offshore in an extremely benign tax environment. Moreover Jersey provides the company, trusts and limited partnership legislation from which to devise the ideal holding structure. The questions arise instead with regard to the taxation onshore of e-commerce conducted by merchants who have located their servers offshore. Taxes paid by the purchasers such as VAT in Europe or Sales Tax in the USA are driven by the laws of the place of supply to the consumer and except where specific exemptions apply ((e.g. on imports into the UK valued at less than £18) they are impossible directly to avoid. It may be that the opportunities are greatest where the product delivered is downloaded to the consumer through the net itself rather than in the form of physical items delivered through the post. Moreover, the range of desirable products that can be delivered in digitalised form is spreading ever wider. Before long the idea of acquiring any information, images or sounds other than by down loading it from the Internet may seem quaint. So could the profits made on sales on-line from a server based in Jersey to customers in the UK be made subject to UK Income or Corporation tax? The answer would seem to be no. Many of the discussions on the subject assume that the e-merchant has wanted or been obliged to set up a server located in the UK. However for non-UK residents trading profits are only subject to UK tax if they are trading in the UK through a branch or agency. This will in turn depend upon exactly where the contract of sale is concluded. This is an issue that can be controlled by careful use of the distinction between offer and acceptance. Internationally the equivalent to the UK test is the existence of a “fixed establishment” in the jurisdiction in question. The OECD model double taxation treaty provides many examples of a fixed establishment, all of which involve a physical presence of some permanence. It is hard to see how access to a web page represented by a binary code housed on a magnetic surface located on a server in Jersey could ever amount to such a thing. 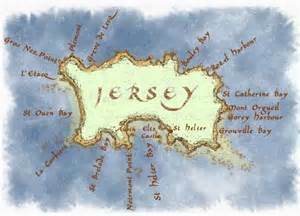 Jersey’s track record as a successful offshore centre speaks for itself. Jersey can now provide the e-merchant with a base from which to market its products onshore without being incorporated onshore, or managed there, or having agents there, or bank accounts there, or office space there, or employees there or even contracting there. In the circumstances the prospects for business on-line, offshore seem virtually limitless. This article is intended as information of a general nature for the interested reader in a rapidly evolving area and is not intended to be and should not be regarded as legal advice.